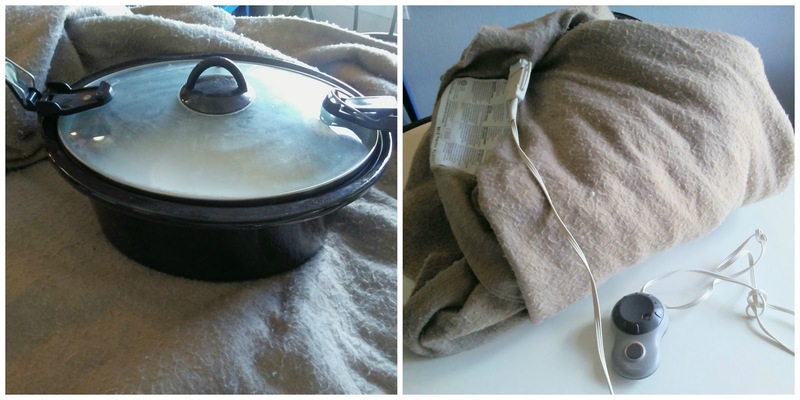 Mom Knows Best : How To Make Homemade Yogurt With An Electric Blanket. 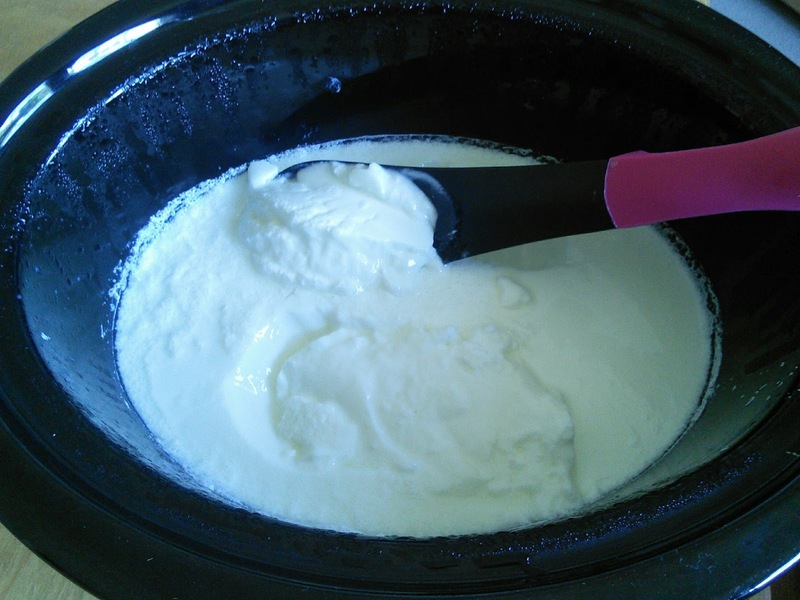 How To Make Homemade Yogurt With An Electric Blanket. My family loves yogurt and we eat a lot of it. Now when I buy yogurt, it has to be the good stuff. I don't want any gelatin or sugar in my yogurt, all I want is plain healthy yogurt that is filled with all those active cultures. The problem is the yogurt that I like is kind of pricey, like $3.00 and up for a quart container. My solution is to make my own for about .50 cents a quart. Yes, making yogurt takes time, but no more than driving to the store. When I make yogurt, I make four quarts at a time as it stores for up to a month in the fridge. Your first batch will cost slightly more as you will need not only milk but Yogurt Starter Cultures. When you make yogurt again you can just use a cup of yogurt from your first batch on so on. 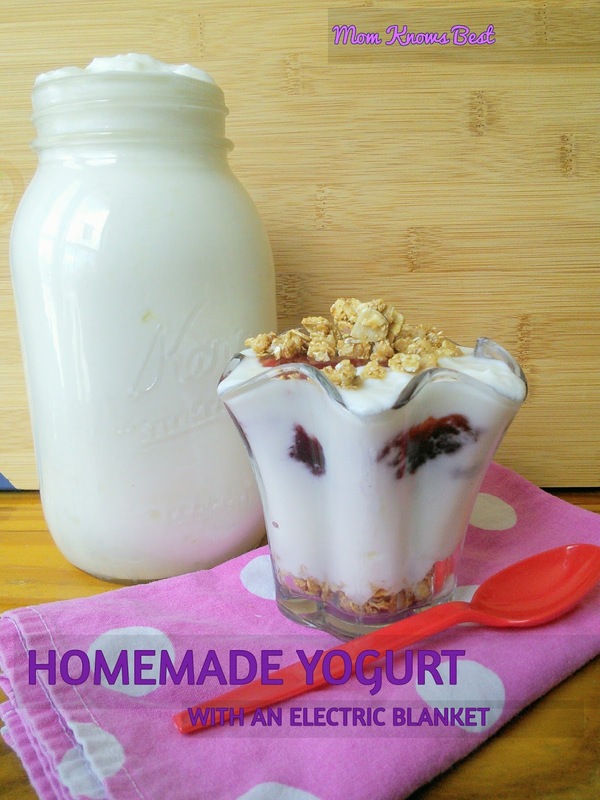 So you can make your own yogurt and save $2.50 per quart! Making yogurt is simple too. All you need is milk, Yogurt Starter Cultures, a slow cooker, a pan, a thermometer, and an electric blanket. I know what you are thinking, what good is an electric blanket for making yogurt? 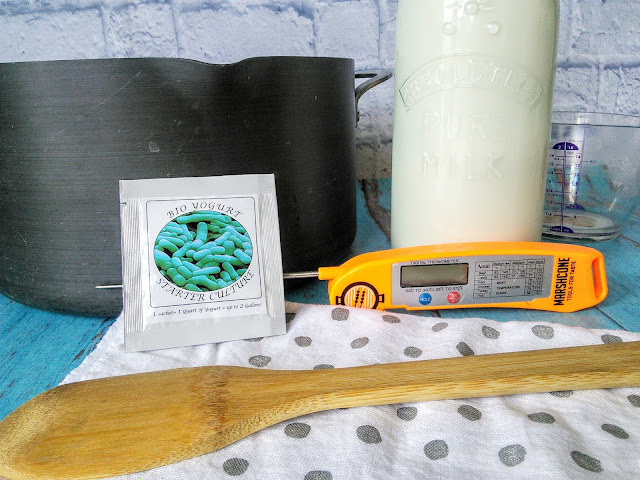 The electric blanket provides the right temperature for the active cultures to do their thing and make the milk into yogurt. The other important item that you will need for yogurt making is a good thermometer as temperatures are very important when making yogurt. If you don't boil the milk high enough or cool it down enough, your milk will not turn into creamy yogurt. I like to use a digital thermometer that gives me an accurate temperature quickly. Don't have an electric blanket? Then check out this awesome 3 in 1 Thermal Bag. 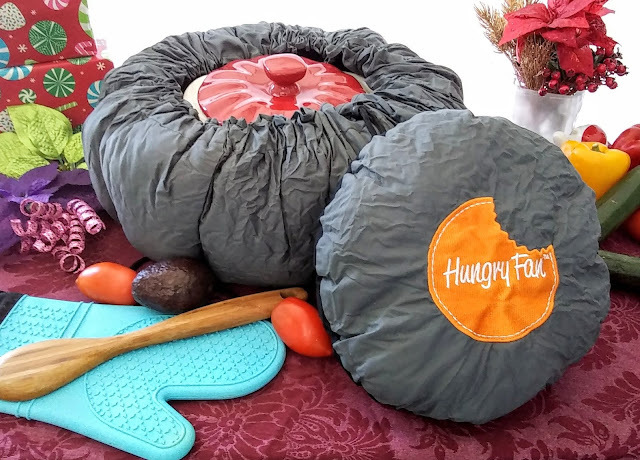 This unique insulated bag can slow cook food and keep food hot for hours. So you can put your crock/pot of milk with the active cultures in this and it will maintain the temperature for 12 hours. The result will be homemade yogurt. This thermal bag is also great for transporting food to parties as it keeps food or drinks hot or cold for hours. The bag can also act like a slow cooker that uses no electricity making it perfect for tailgating. Simply bring food to temperature, place pot/dutch oven in the thermal bag, and your dish will continue to cook. Once you learn how easy it is to make your own yogurt, you may never buy it from the store again. There are times when life gets crazy and I need yogurt, I cringe at having to pay that much for yogurt. How can a mom say no to a kid who is asking for yogurt? I will buy the over-priced yogurt at the store during these times and then I remember how easy it is to make it. So then I remember to make homemade yogurt again. So onto how to make homemade yogurt. You will need a quart of milk and one package of Yogurt Starter Cultures. Start by determining what setting on your electric blanket is equal to 110 degrees F, if you don't have a fancy digital one. I did this by plugging the blanket and scrunching it up. I started with the first setting and stuck the thermometer in it after it had been on for 5 minutes. I then turned up the blanket, one setting at a time and taking the temperature after 5 minutes. My blanket reached 110F at setting 4. Once you determine the setting, leave the blanket on and set in on the table so it is ready when the milk is done. You can also plug the blanket in when the milk is cooling. Also, place your slow cooker crock and lid on the countertop so it is ready for the prepared milk. Now pour your 1/2 gallon of milk into a large pan. If you want creamier yogurt, add a cup of powder milk to your milk in the pan. Heat it up over medium-high heat until it reaches 180-195 degrees F, stirring often so the milk does not burn. While the milk is heating up, fill up your sink with cold water. 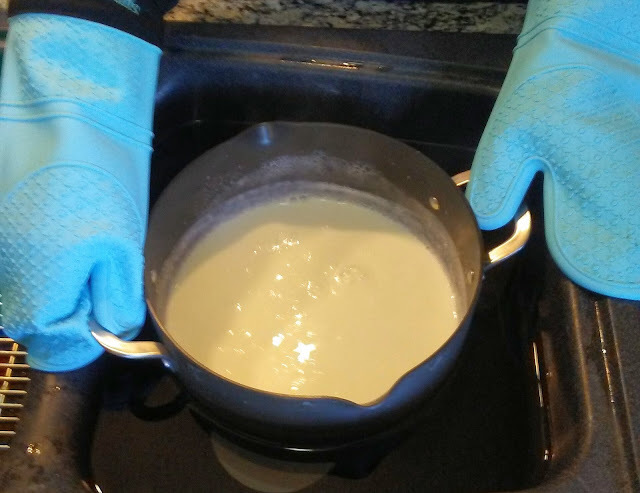 Once your milk reaches 180-195F, take it off the stove and place it into the sink of water. Make sure not to get any water into the hot milk. Let the milk sit in the water for about 10 minutes or until it cools down to 105-110F. When the milk cools down to 105- 110F it is time to stir the Yogurt Starter Cultures into it. The yogurt starter cultures are filled with live cultures and they will turn the milk into yogurt. Then pour the milk into your slow cooker crock and place the lid on top. Now take your slow cooker crock over to your electric blanket that is turned on and place it in the middle of the blanket. Wrap the blanket around the crock and leave it there for 12 hours, no peeking. After 12 hours under the blanket, take the crock of yogurt and place it in the fridge for 12 hours, again no peeking or stirring it. Just place it in the fridge and walk away. After 12 hours in the fridge, you will have beautiful yogurt. I like to place my homemade yogurt into smaller containers like mason jars or empty store-bought yogurt containers. I love using this dried-freeze Yogurt Starter Culture when I make my homemade yogurt. I keep a couple of packs in my pantry so I can make yogurt when I don't have any yogurt in the fridge for a starter. My boys tend to eat the batch of yogurt that I was saving to make more yogurt. This dried-freeze culture also gives my yogurt a better taste along with lots of those live active bacteria. The bacteria in this culture is a Bulgarian strain of live active Bifidobacteria like ''Bifidobacterium bifidum'', ''Bifidobacterium infantis'', ''Bifidobacterium longum.'' This Pure bacterial blend of cultures is made in a laboratory environment away from additives, maltodextrin, gluten, and GMO. You can use this starter culture with any yogurt maker. 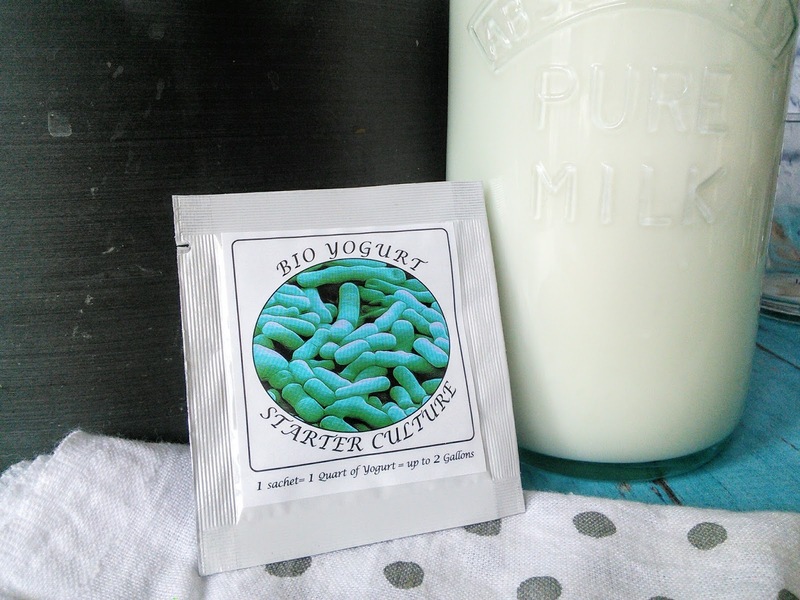 Go here to purchase the Yogurt Starter Cultures that I used. 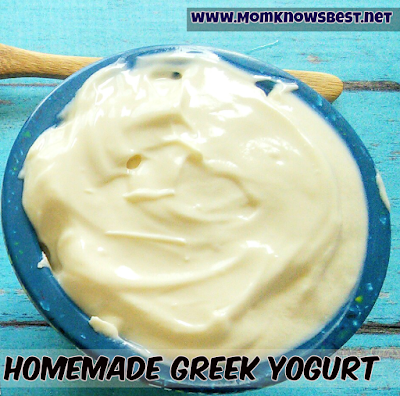 Check out this easy recipe for Homemade Greek Yogurt! Myth or Not? Many people ask if it is true that the famous Lactobacillus Bulgaricus bacterium is found only in Bulgaria. The correct answer is no - you can grow the bacteria in different parts of the world (in fact many people do). What is unique about the Bulgarian strain is that only in Bulgaria it preserves its qualities in further generations of the same strain, i.e. if you use your previous yogurt to start your new batch. If this is how you make your yogurt outside Bulgaria, you will notice that after a batch or two, the yogurt loses its unique taste, physical appearance, and qualities. Why this happens, scientists are not sure. It is often contributed to the unique climate of the region but there's more to creating the perfect conditions for Lactobacillus Bulgaricus than the environment. So how can you prepare Bulgarian yogurt abroad? The answer is simple - use a dried-freeze yogurt starter culture with live Lactobacillus Bulgaricus that was produced in Bulgaria. Use a new culture with every batch of yogurt you make to preserve the unique taste and qualities of the yogurt. In this way you can achieve the traditional taste of kiselo mlyako (кисело мляко) similar to the one our grandmothers used to make, guaranteed. Pour milk into a pan and stir in powder milk. Heat milk over medium-high to 180-195F degrees and stir often. Remove from stove and place pan in a sink of cold water, make sure not to get any water in the milk mixture. Let the milk cool to 105-110F degrees, this takes about 10 minutes or so. 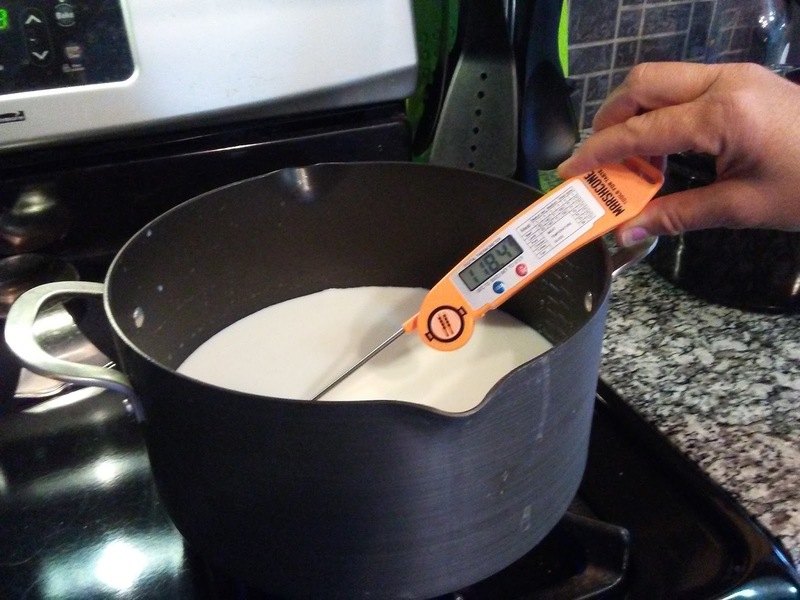 When the milk cools down to 105- 110F stir the Yogurt Starter Cultures or yogurt into it. Pour the milk into a slower cooker crock and place lid on the crock. 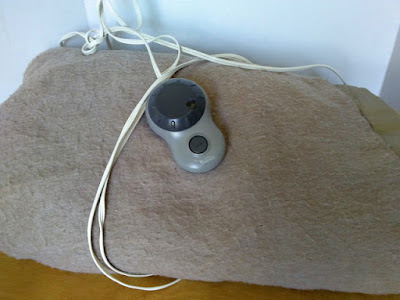 Then wrap in a preheated electric blanket. Leave crock under the blanket for 12 hours. It is tempting to look at it while under the blanket, but no peeking, just leave it alone. Then place crock in the fridge for another 12 hours. It is important to not stir the yogurt or move it while it is in the fridge for those 12 hours. This will disturb the process, just simply place in the fridge and leave alone. After the 12 hours, spoon yogurt into containers. This yogurt will be good for about 3-4 weeks in the fridge. "These opinions are my own and I received the Yogurt Starter Cultures to facilitate this post." How clever. I am totally going to try this!!! I thought I had seen everything! How resourceful! I definitely have to give this a try. Wow do not even know that was possible.Love that you came up with these great way to make it.Thank you for sharing so cool. I've been making homemade yogurt since the 70s. Several years ago, I bought the same brand yogurt maker--Salton, since I had one for years and it always worked great. The one I have now was about $10 and I expect it to last for many years. I have an electric blanket as a backup I guess, if it doesn't, lol. I had this yogurt maker as a kid and loved it. Sadly my broke. Hi Tara! This is extremely clever. My mother usually follows the same recipe, I guess it's time to get her a new electric blanket. Now that is pretty clever. I would have never thought of such a thing. That's real handy. That is so cool Tara, I would have never thought of that!! that is a pretty cool project. I may see if so wants to try. I honestly haven't tried making homemade yogurt before and it's really amazing to learn how to do it. I love yogurt and I'm definitely going to try this method. Wow this is really cool! I've never considered making my own yogurt. I have never heard of this! Who would've thought you could use an electric blanket? I love the idea of this. It's so gratifying to make things yourself! Very creative with the blanket. This is incredible! I have never thought about making my own yogurt! It looks delicious. I have a hard time eating yogurt. I've tried every kind. But my family loves it -- they'd sure be surprised if I made it for them. Oh my gosh! I had no idea you could do this! That is so cool! I would have NEVER guessed an electric blanket could be used to make yogurt! What a fun hack to discover. I live in the desert so I don't have any electric blankets anymore but this is still cool information to know! I can't believe what I just read lol I had no idea you could make yogurt using an electric blanket! That's amazing! Wow, you are so brilliant! I can't imagine that you can make a home made yogurt! We have an electric blanket but I never know this is possible. your homemade yogurt looks delicious! 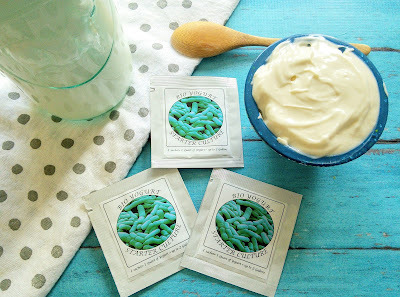 My son loves yogurt and I never thought of making a homemade yogurt. Thanks for sharing. Say what? An electric blanket for making a home made yogurt? Wow, you are so clever! wow that looks really good. i could totally use a serving right now. lol. This is really cool! i would definitely try this out! Oh my gosh! That is so funny! I never would've thought that someone would use an electric blanket to do this. I had to read that twice to make sure I was reading it right. I've been looking at a pressure cooker that will actually do this, plus a lot more. It's way more expensive than an electric blanket though. This method is so easy to follow! I am delighted that you shared how to make healthy and delectable Homemade Yogurt With An Electric Blanket at the Healthy Happy Green Natural Party! I'm Pinning and sharing this! Thais is really great . I never knew about this much easy way to make yogurt. I've never made yogurt st home, maybe I'll give it a try. I love eating yogurt for breakfast. Wow, I had no idea this was possible! Homemade yogurt would be so much better than store bought. I have never thought about making my own yogurt. How fun!! Thanks for sharing, can't wait to give it a try! An electric blanket?! How on earth does that even exist? That's amazing! The design of the thermal bag is very unique. Is it a customized thermal bag? I once ordered 5 pieces of the customized thermal bag for our little food delivery service. The design is excellent. Btw, thanks for sharing your thoughts.